If you like the rugged, bold look of the full-size Silverado, but want it in a smaller package that gets better fuel economy, check out the Colorado. The standard four-cylinder engine is surprisingly strong yet, with two-wheel drive, is EPA-rated at 24 miles per gallon on the highway. Chevrolet Colorado- the good, the bad, and the bumpy. 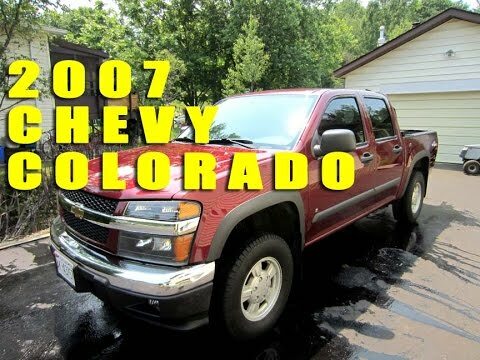 The Chevrolet Colorado standard cab pickup truck is a smaller sized truck in comparison to most trucks and therefore it is easy for me to handle. I will say however that unfortunately the Chevrolet Colorado standard cab pickup truck is the absolute furthest thing from a smooth ride. I mean you could be driving down a perfectly paved straight away highway and you will still be in the cab bumping all around. Thanks to would hands down be my biggest complaint. A good, but not great small truck. A decent small truck, but not a great one, which would have been the earlier s-10 model. Fair gas mileage for a 4WD. Sheet metal is too thin. My dad's old s-10 and the new Colorado sat out in the same hail storm. 1k damage to Colorado zero dollars to the s-10. Not a lot of room inside, I should have gotten the extended cab. Fairly snappy for a four cylinder. The best vehicle I have owned in a while. Good on gas I have had no issues with the trunk I have hauled wood I have hauled scrap metal and cans it has been a very reliable vehicle I couldn't ask for a better truck. And I know I said I have had no issues but I am having trouble with the tpm light thinking maybe I might have a leak at the value but other than that it has been a great truck.